Working with Audio Trails – Our contact with you was by phone and email. On each contact your response was very positive by actioning our requests in a prompt and efficient manner to our utmost satisfaction. We are very pleased with the finished product and would certainly recommend your services in the future, giving you a score of 10 for the excellent service you provided. Everything was carried within a week of our initial contact. Where is the Peak District Lead Mining Museum? The Peak District Lead Mining Museum is in Matlock Bath, Derbyshire, DE4 3NR. It is home to many relics of the lost lead industry. 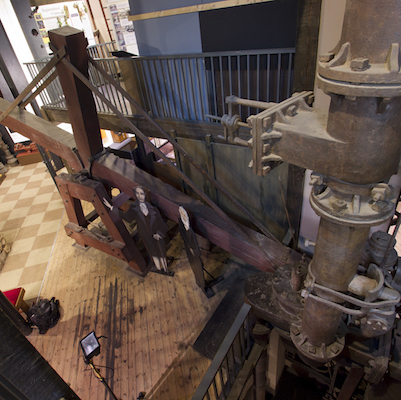 Centre stage is the Wills Founder Engine; watch and listen as Richard Trevithick waxes lyrical about his water pumping machine. In 2011 Audio Trails produced a series of audio guides for the Cornish Mining World Heritage Site. Learn about this fascinating bygone industry at audiotrails.co.uk/cornwall-audio-trails.